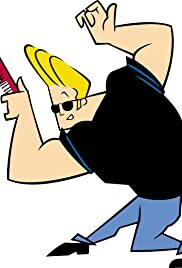 JOHNNY BRAVO! A spiritual sequel to the original Saturday morning Scooby-Doo! The Story: A million years ago, in Bedrock, an ancestor of Johnny Bravo has his life saved by Fred Flintstone, after which Johnny’s ancestor attempts to repay the debt by doing Fred’s chores. Notes: The prehistoric ancestor is also named Johnny Bravo, and acts just like our Johnny, but it’s made clear from the episode this is Johnny’s prehistoric ancestor, not a contemporary Johnny in Bedrock. 1973 to 1983--SPEED BUGGY--Animated 'Saturday-morning' television cartoon about a race car. Speed Buggy has been referenced many times in other shows like Johnny Bravo, Looney Tunes: Back in Action, the Powerpuff Girls, Scooby-Doo: Mystery Incorporated, and Futurama. March 1995--THE CARTOON CARTOON SHOW--"Johnny Bravo"--Introducing a legend in his own mind. Johnny tries to impress a zookeeper by bringing back an escaped gorilla for her. January 1997--THE CARTOON CARTOON SHOW--"The Amazon Women"--Pilot for Johnny Bravo. Johnny Bravo goes an a whale watching trip to meet girls, but when he falls overboard, he washes up on an island of beautiful Amazon women, who don't take too kindly to him. The Story: Johnny Bravo is a handsome man who is really full of himself. His cocky, narcissistic, and not too intelligent behavior makes him think he’s God’s gift to women, but women tend not to agree with this. Johnny often finds himself in bizarre and humorous adventures. Notes: Johnny Bravo was the second of Cartoon Network’s original Cartoon Cartoons. The Story: When Johnny’s aunt vanishes, he enlists Mystery Inc for assistance. Animated Series Crosses: Rudolph the Red-Nosed Reindeer; How the Grinch Stole Christmas; Wacky Races; Quick Draw McGraw; The Ruff and Reddy Show; Yogi Bear; Jetsons; Scooby-Doo! The Story: Johnny thinks Santa is a thief, and injures him trying to stop him. He then has to take Santa’s place to deliver the presents around the world. Notes: Johnny wonders why Rudolph isn’t part of the sleigh team. The scene then shifts to show Rudolph is at the North Pole fighting the evil forces of the Grinch. Johnny reviews the list of those who are to receive coal, which are all politicians. Some of the names on the list are famed cartoon characters while others are cartoon creators. Others still are unknown to me. The full list is: President (the only one to receive a gift rather than coal), Sen. L’annon, Sen. Aberg, obscured name of senator whose name ends with “dn”, Sen. Sntstgne, Sen. Dascardley, Sen. Muttdy, Sen. McGraw, Sen. Ruff, Sen. Ready, Sen. Freedman, Sen. Davis, Sen. Bell, Sen. Cowsil, Sen. Ceasar, Sen. Johnson, Sen. Deserano, Sen. To, Sen. Granger, Sen. Hanna, Sen. Barbera, Sen. Warner, Sen. Yogi, Sen. Booboo, Sen. Jetson, Sen Oakey, Sen. Ricthey, Sen. Jan, Sen. Tomtishen, Sen. Pamela, Sen. Blip (it’s obscured whether he gets a gift or coal), Mayor of Aron City (gets a gift), and Sen. Puffnstuff (gets a gift). 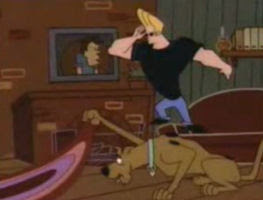 Johnny brings a gift to Scooby-Doo. Scooby was hoping for Scooby snacks but instead receives a coupon for free speech therapy lessons from Cindy Brady. December 1999--JOHNNY BRAVO--"Johnny's Guardian Angel"--The segment "Johnny's Guardian Angel" is a spoof of IT'S A WONDERFUL LIFE. 2000--JBVO--Johnny Bravo hosts "your all-request cartoon show". 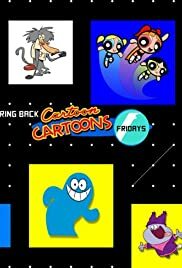 2000--CARTOON CARTOON FRIDAYS--Every Friday night, your favorite Cartoon Cartoon stars get together to present four hours of Cartoon Network's newest Cartoon Cartoons. With a different cartoon host every week, you never quite know what's going to happen. March 2001--JOHNNY BRAVO--"Freudian Dip"--Featuring a minor reference to Peanuts. Characters appear that unofficially are meant to be the Peanuts gang. December 2001--JOHNNY BRAVO--"A Johnny Bravo Christmas"--Santa appears. 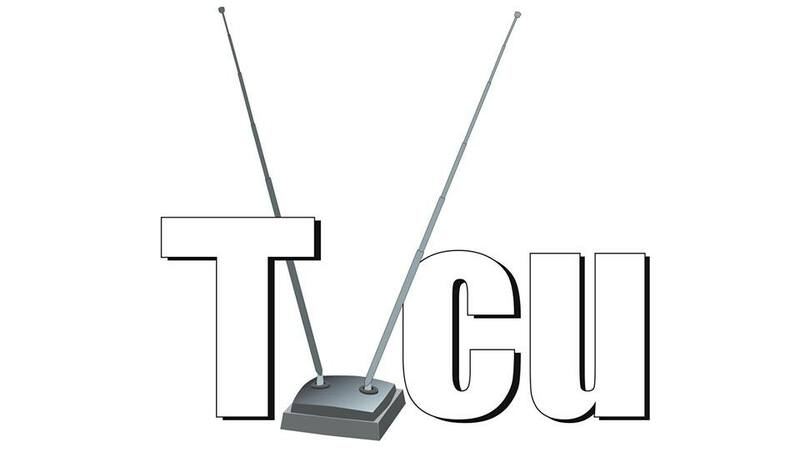 The Story: An awards show for toons. Notes: This show was hosted by Johnny Bravo and featured many celebrity guests, including some cartoon characters. 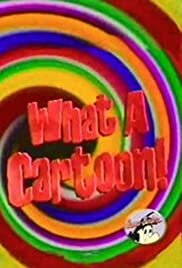 More cartoons were featured than those listed above, but most were archived footage, which doesn’t imply a shared reality connection. February 2004--JOHNNY BRAVO--"Johnny Goes Hollywood"--Jabberjaw makes a cameo. July 2004--JOHNNY BRAVO--"T is for Trouble"--Mr. T is pulled again into the Looniverse, where he meets Johnny Bravo. I feel that some of these trips are astral, meaning that the soul leaves the body while they are sleeping and travels to the Looniverse. That would explain how people seem to visit the Looniverse without going into shock, and how they return as if nothing had happened. To them it was just a dream. August 2004--JOHNNY BRAVO--"Johnny Makeover"--Blue Falcon appears. August 2004--JOHNNY BRAVO--"Back on Shaq"--Huckleberry Hound appears. January 2009--FUSIONFALL--Characters from Johnny Bravo appear. June 2009--JOHNNY BRAVO IN THE HUKKA MEGA MIGHTY ULTRA EXTREME DATE-O-RAMA!--Video game. 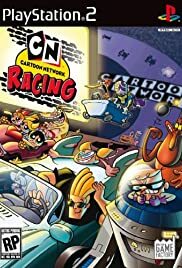 Characters from Johnny Bravo are also featured in the Cartoon Network games Cartoon Network: Block Party, Cartoon Network Racing, Cartoon Network Speedway, and Cartoon Network Universe: FusionFall. 2011--JOHNNY BRAVO GOES TO BOLLYWOOD--A TV Movie. 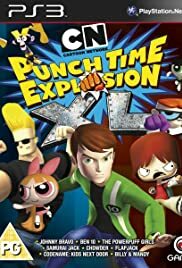 2011--CARTOON NETWORK: PUNCH TIME EXPLOSION--All of your favorite Cartoon Network characters band together to defeat an unknown evil destroying their worlds. CARTOON NETWORK 20TH ANNIVERSARY--This special features appearances by DAFFY DUCK, BATMAN (from Earth-23/BATMAN: THE BRAVE AND THE BOLD), JOHNNY BRAVO, BUGS BUNNY, characters from THE MARVELOUS MISADVENTURES OF FLAPJACK, THE GRIM ADVENTURES OF BILLY AND MANDY, FOSTER'S HOME FOR IMAGINARY FRIENDS, COURAGE THE COWARDLY DOG, REGULAR SHOW, ED EDD 'N' EDDY, CHOWDER, SAMURAI JACK, DEXTER'S LABORATORY, ADVENTURE TIME, and SCOOBY-DOO! Summer 2014--CARTOON NETWORK: SUPER SECRET CRISIS WAR"--Samurai Jack, Ben Tennyson, Dexter and the Powerpuff Girls must team up with the help of the Eds to prevent the League of Extraordinary Villains (Aku, Vilgax, Mandark and Mojo Jojo) from taking over the world in the comic mini-series "Cartoon Network: Super Secret Crisis War", and the missing robots are teleported into the five worlds of Johnny Bravo, The Grim Adventures of Billy & Mandy, Foster's Home for Imaginary Friends, Cow and Chicken, and Codename: Kids Next Door. This is yet another example of cartoons being on different worlds despite also being on the same world. I've come across a lot of these examples lately. This is why the Cartoon Crossover Encyclopedia will be demonstrating a Cartoon MULTIVERSE rather than a Cartoon Universe. April 2016--UNCLE GRANDPA--Johnny Bravo is in the audience when Uncle Grandpa hosts the Grampies. LIVE ACTION UNIVERSE--A live action film was planned and then scrapped in 2002 featuring the Rock as Johnny Bravo. I probably would have placed this in the same reality as the live action Scooby-Doo films.